Hello everyone! 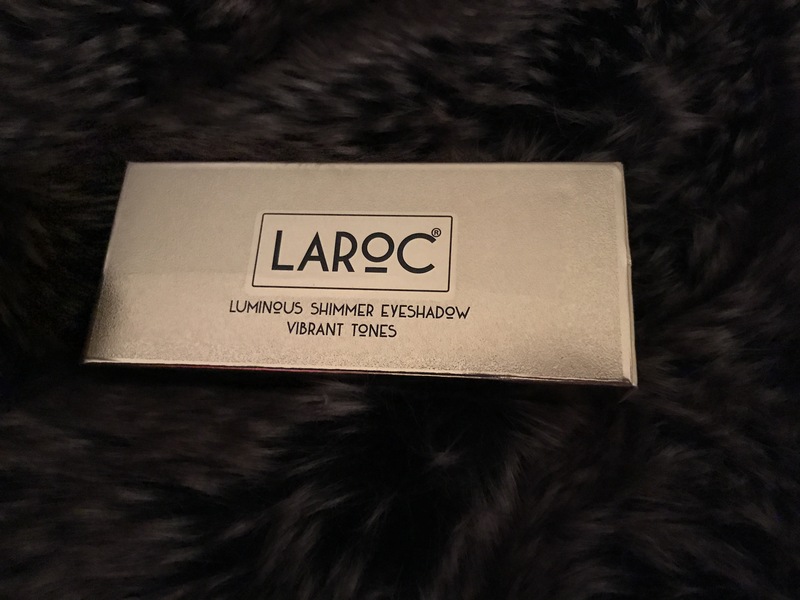 Just a shorter post tonight on the Lorac Palette (colour stated as 01). The range of colours first attracted me to this palette and I really wanted to try it out because I didn’t have anything similar. It came in a lovely gold box along with a couple of brushes to try out. Once opened, the packaging is absolutely gorgeous. It’s a golden Palette which is so shiny/reflective you could probably use it as a mirror. Inside you have your range of colours, 9 in total. There’s quite a nice range here in terms of variety, however not a huge amount I could merge into one eye look. The mirror is fantastic and one of the best mirrors I’ve seen on a palette so far. The bush that comes with it is nice, but probably not one I would use as I don’t tend to use sponge brushes. 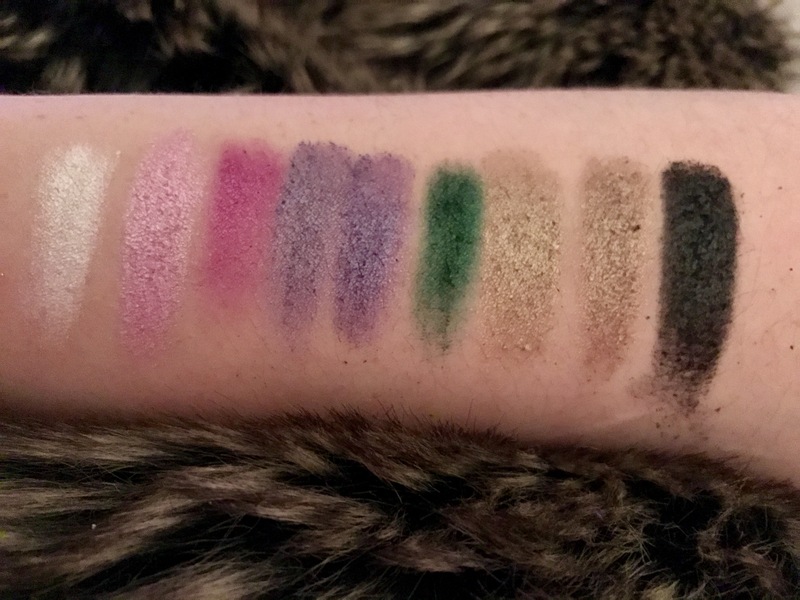 All of the colours are fairly pigmented, however they are a little dry and patchy/powdery. I would probably rather them be creamy and less pigmented, but they are definitely something you could work with. From left to right, the white is really nice and one of the most pigmented I’ve seen. The pink is absolutely gorgeous and I cannot wait to do some really girly looks with this. The next pink seems more matte, I think it’s just a different kind of formula and I found it to be a little patchy. The next two purples are nice and would probably work okay in a look together as a lid and crease colour. The green was probably the most dry in feeling and it came off clumpy, but it was a lot more pigmented than I realised and definitely workable. The next two bronze/gold colours are nice although pretty similar. I feel there could have been space to put one of these in and have a different colour instead. The black again was quite matte and pigmented. All in all, I absolutely adore the packaging of this palette and the mirror. It’s a really good size for travelling, but I don’t think I would travel with this palette alone, as I don’t feel it offers a lot of looks. 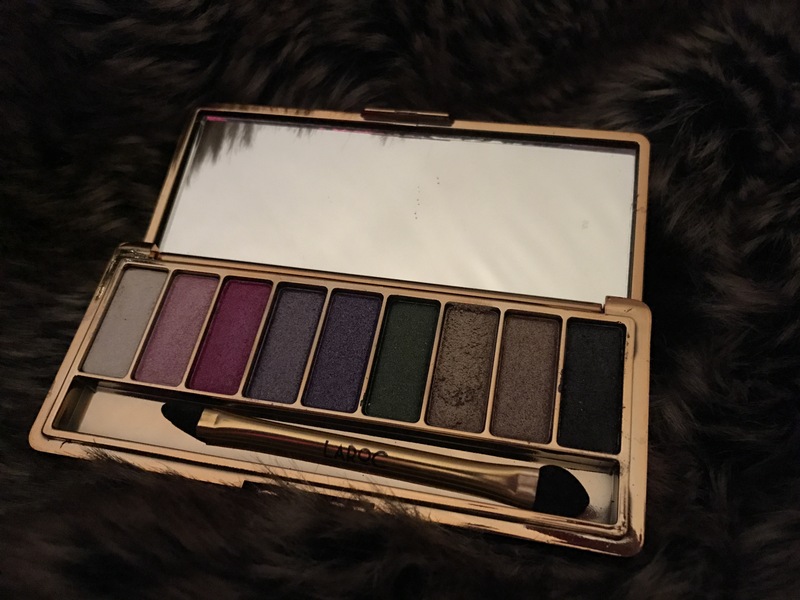 The shadows aren’t great in their formula and there is a bit of drop off, so I would recommend doing your eyes first with this palette so you don’t ruin the rest of your make up. I don’t see myself reaching for this a lot but I do like the colours and pigmentation. 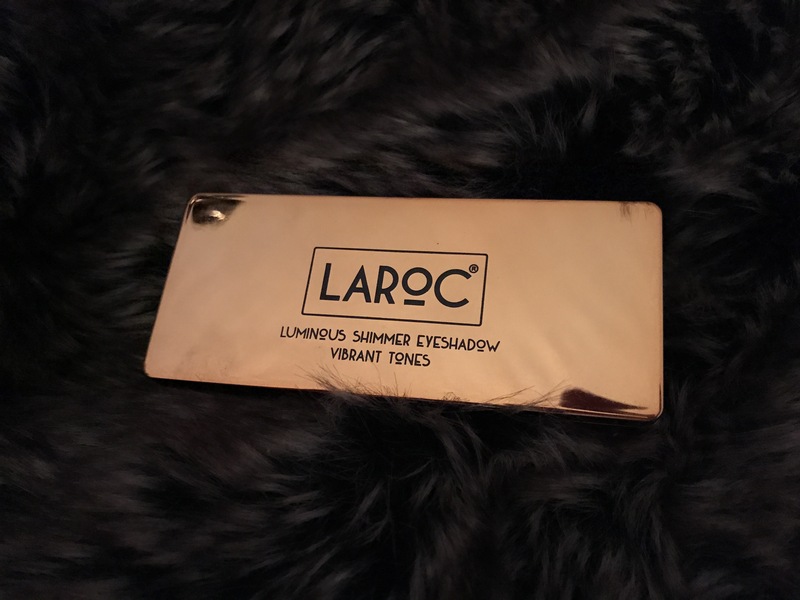 This palette is £19.99 on the LaRoc website. Definitely a nice one to have in your collection if you have the money to spare. Wouldn’t be an everyday essential.